Professor Leisa Sargent is the Head, Department of Management and Marketing. She was awarded her Ph.D. from the Rotman School of Management, The University of Toronto. She has held posts at Cornell University and Queensland University of Technology. Her undergraduate and masters degrees in Psychology were awarded from The University of Queensland. She is a research leader in the Sloan Work and Family research network in the U.S. Leisa has been an expert witness in the Industrial Relations Commission focusing on the detrimental effects of job changes in the Australian health sector and has co-authored a submission to the Senate inquiry on Aged Care. Her organisational research includes stress and coping, careers, leadership development, work organisation and the value of social capital in organisations. She has consulted to large complex organizations both in Australia and North America, including companies such as Nortel, the Australian Maritime Safety Authority, Telstra, Incitec, Canada Life, Comcare and Arnotts. Her work is published in a range of journals including Organization Science, Journal of Vocational Behavior, Journal of Occupational and Organizational Psychology, Work and Stress, Small Group Research and British Journal of Industrial Relations as well as in edited books. Most recently she co-authored a piece for the World Economic Forum on the HR needs for an ageing population. 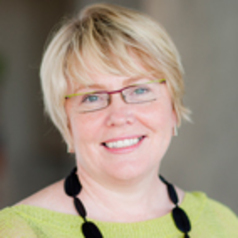 In 2010 Leisa was awarded the Pearson Australia and New Zealand Academy of Management educator of the year. She has a keen interest in teaching, learning and executive education and has published in the Journal of Management Education and co-authored several works on student virtuality and team work.